The marker you most regret selling. Discussion in 'Speak your Brains' started by Where's My Tractor?, Jan 7, 2015. I regret selling my first gun. A dye dm9. I've asked my dad for you but he is unsure where they went. He thinks some was given to the action for the charity we used and some went back and sold on but he cant remember. If you Google it an old post that comes up on here from 2011, blue and silver Kelly dynasty shocker for sale . I think you was the only one that had one so could be worth a shot. 1st is a gen 1 bob long victory bought from lips when they 1st came out. My black to yellow fade Evolution autococker with race frame and warpfeed ! That gun never missed a beat thanks to Dangerous from Belsales ! 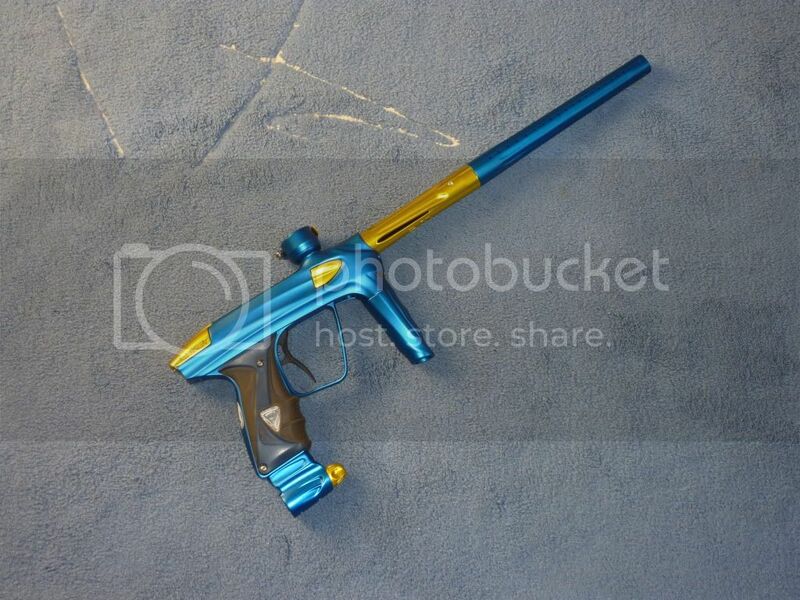 My RT with warp feed, my Angel LCD & full chrome shocktech 'Cocker.... followed by my sterling pump!